Journalist Ira Panganiban reveal that the cancellation of the American singer-songwriter James Taylor concert was because of his connection to Filipina billionaire Loida Nicholas-Lewis. Taylor was scheduled to have a concert in February next year but he announced to his Twitter account that he cancelled it due to the alleged extrajudicial killings in the Philippines. 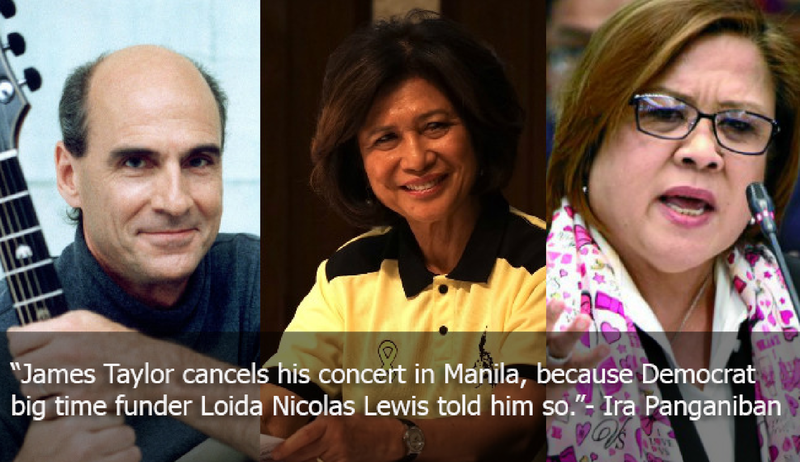 James Taylor cancels his concert in Manila, because Democrat big time funder Loida Nicolas Lewis told him so. Remember that Taylor is a hard line, true blue Democrat who is on a first name basis with the Obama's and Clinton's. Also, Loida Nicolas Lewis, another hard line Democrat, donates millions of dollars to the Democratic Party. And Leila de Lima just came from the US very recently, in New York and Washington at that, to meet with her moneyed principals against Duterte. O sige, just like the yellow big media, pag-tahi-tahiin niyo na ang connection ng pagatras ni James Taylor sa concert at koneksiyon nito kay Loida, Leila at Re-Du2017 campaign. Oh, yung Re-Du2017 ang latest plot na Remove Duterte in 2017. Galing yan sa kampo ni Trillanes sabi ng source ko. 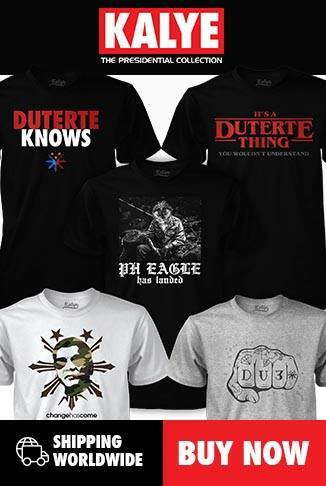 O kita niyo, ako din may source!!! Hahahaha!!! !